Haunted Toaster: It seems to be aware. Robert Jeffrey: This, ladies and gentlemen, was why the green screen was invented. Radical Ending 2: Official nominee for best death scene. Ever. Michael Davis: Bringing you juggling-based laughter. Boomerang: A German talk show host can't control his laughter when he hears his guest speak. Before He Was Famous: Fred Armisen's shenanigans in Chicago clearly are some of the inspirations for Portlandia. Dave Chappelle c. 1993: Chappelle wins on Star Search as the youngest contestant ever. Counting to 20: This kid is doing it right! Viruses: Life in the modern world has a new anxiety these days: Saboteurs! Guts: JR "Baby D" was the worst athlete in Nickelodeon history. 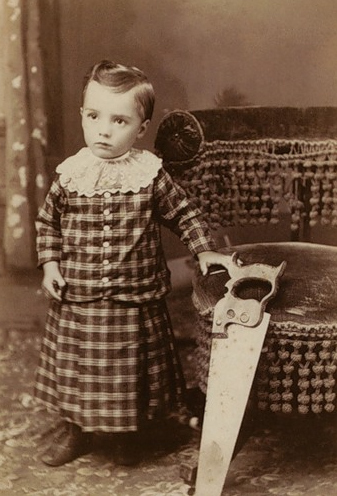 Baby's First Saw: Now get to the lumber factory and help daddy make end's meet.